Just past sunrise on a crisp, bluebird sky morning in June 2007, I boarded the train at Sierre station for Geneva Airport. Behind me was over 20 years of life in Valais filled with warm memories of loved ones, many of whom, like my parents, were no longer of this world. 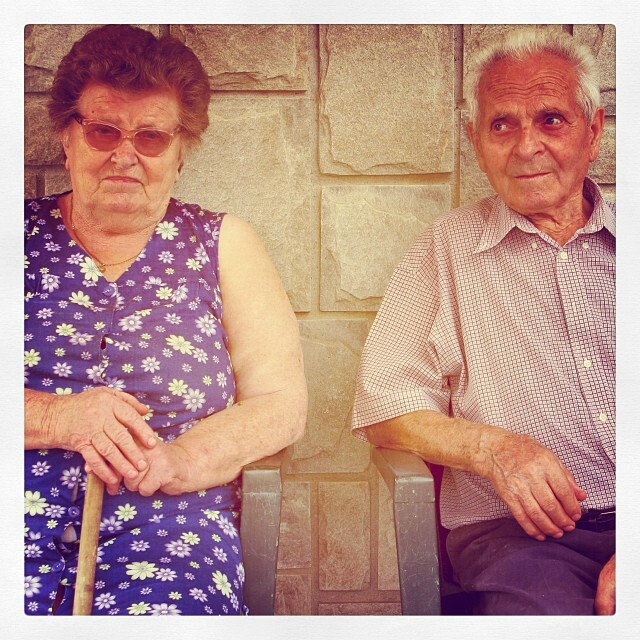 My mom and dad — Gloria and V. J. 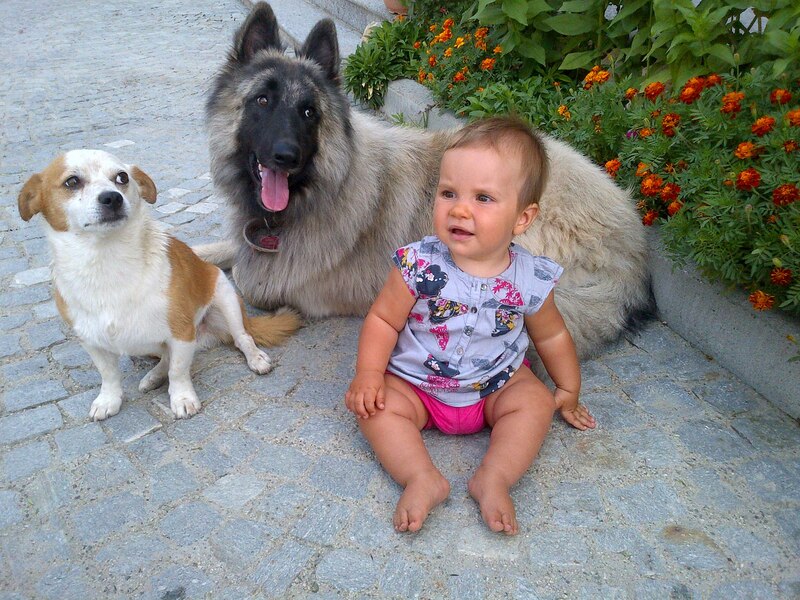 “Bob” LeBlanc — on one of their many visits to us in Switzerland. To say I was sad to repatriate to the United States is an understatement. Robert Goulet’s words he crooned to Vanessa Redgrave’s Queen Guinevere came to mind. There really was no season to leave Valais, certainly not summer, not spring, not autumn, and definitely not winter, the season filled with Advent and Christmas, my favorite time in Europe. 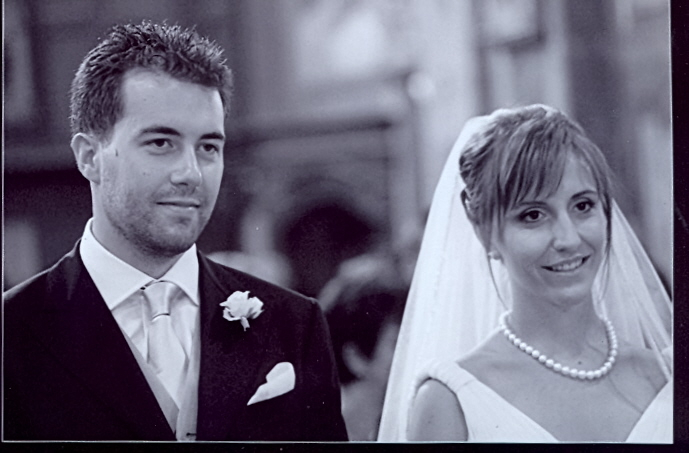 Nine years later, we decided to spend another Christmas on the eastern side of the Atlantic, but this time in the hills of Piemonte, my continueing connection with Valais, not high in the Pennine Alps in Bluche. As I began writing my packing list, I thought it would be fun to share an excerpt from my book, Labor of Love: Wine Family Women of Piemonte, about Christmas (Natale) with the Deltetto family. 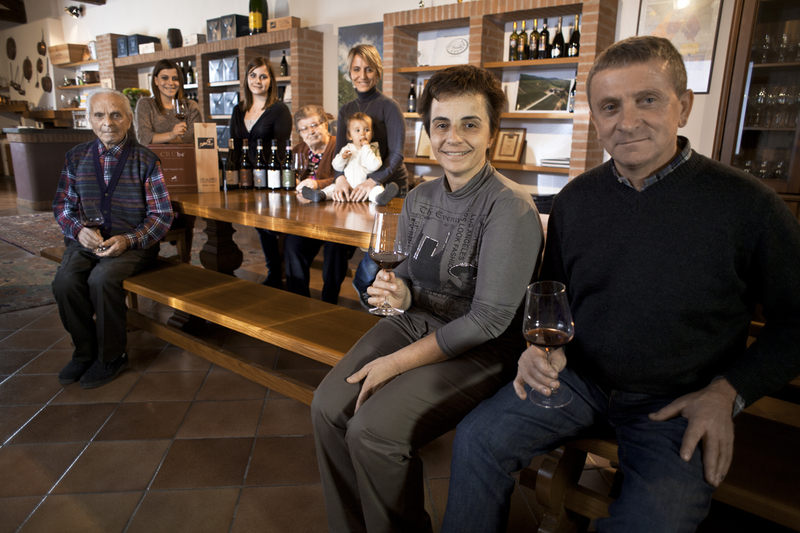 It is with this lovely Roero family and the Grassos of Cà del Baio in Barbaresco — a family to whom the Deltettos are joined through the marriage of Carlo Deltetto and Paola Grasso — that we will be spending Christmas Eve. 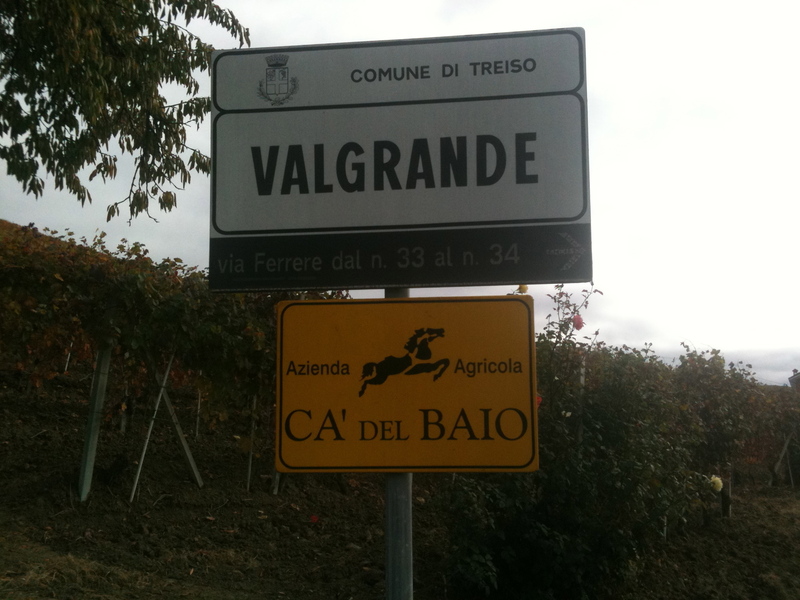 On Christmas Day we will join the two families in the Cà del Baio tasting room in Treiso. These are some of their traditions that we will be privileged to experience. Toni Deltetto’s decision in 1997 to plant Pinot Noir led to a new, exciting market for the winery: bubbles. What began as a fanciful endeavor to produce spumante for both private consumption and presents for friends and clients quickly evolved into a major part of the Deltetto portfolio. In 2003, Toni released approximately 100 bottles of his first Spumante Extra Brut metodo classico. 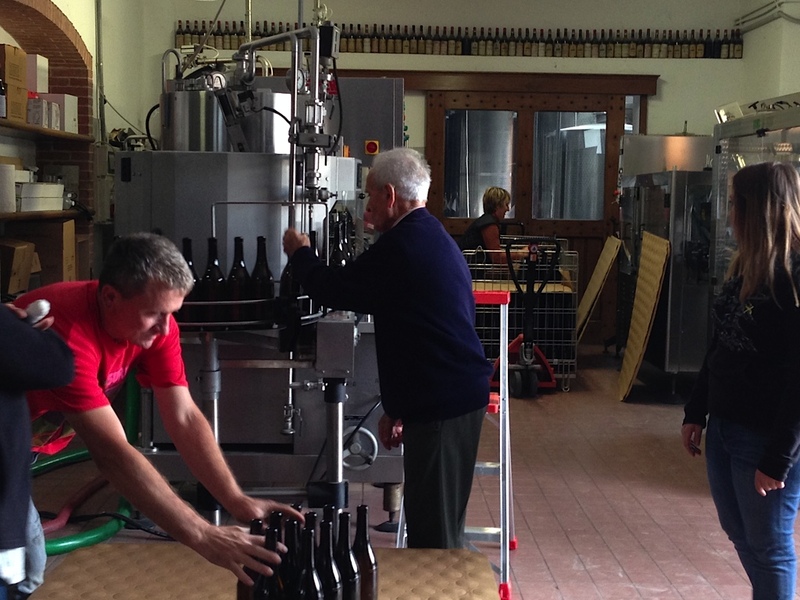 By 2015, after major renova-tions to his cellar and the addition of state-of-the-art equipment, Toni and his son Carlo were producing on average 25,000 to 28,000 bottles of sparkling wine per year. From the original Extra Brut offering, the portfolio grew to three different styles for all tastes: Extra Brut, Extra Brut Rosé (a blend of Pinot Noir and Nebbiolo), and Brut. Although the costly, labor-intensive process is the same as Champagne production, Toni and other European producers outside of the French appellation were forbidden to use méthode champenoise on their labels. But thanks to great marketing and the assistance of wine writers who help educate consumers, global demand for well-priced, beautifully produced Italian spumante metodo classico grew. Deltetto Extra Brut Spumante Rose Metodo Classico from Nebbiolo and Pinot Nero. The sparkling wines are very important to the Deltetto family, not only for the excellent return on their investment, but for the pleasure the wine brings them and their clients. “There is no occasion that we don’t open a bottle of bubbles when a friend comes over, with a cele-bration of something very nice, or to comfort us when something goes wrong,” Toni said. Christmas is one of those celebrations when they pour copious amounts of their spumante. 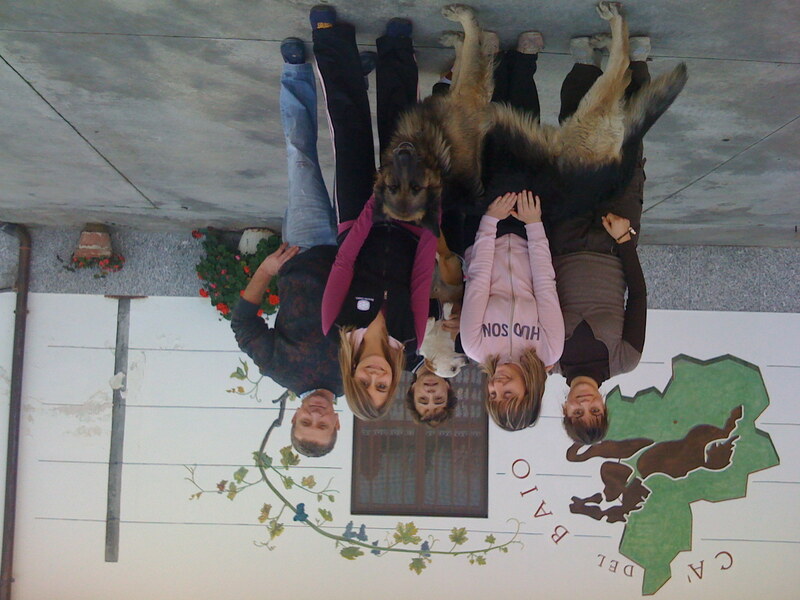 The Deltetto family — (L-R) Claudia, Graziella, Lidia, Cristina, Toni, and Carlo. Photo Credit: Elisabetta Vacchetto. Having lived in Central Europe for so many years, I particularly enjoy European Christmas traditions. After years of experiencing the joyous holiday in Switzerland and developing traditions with cherished friends, I felt lost when I moved back to America in 2007. It seems the French and the Italians do Christmas — at least the feasting — like no others on earth. The Deltettos are no exception. After months of hard work in the vineyards and cellars, one would think wine families have a chance to relax and enjoy the season. In fact, they are nearly as busy at Christmas as they are during the harvest. Wines coming up, as well as those aging, need attention in the cellar. Clients near and far are anxious to buy wines for their own celebrations. Packages usually filled with tasty goodies are packed and sent to importers and representatives around the globe. Since the producers are masters at multitasking, they manage to keep their clients, their wines, and their families happy while they dive into their own Christmas celebrations. 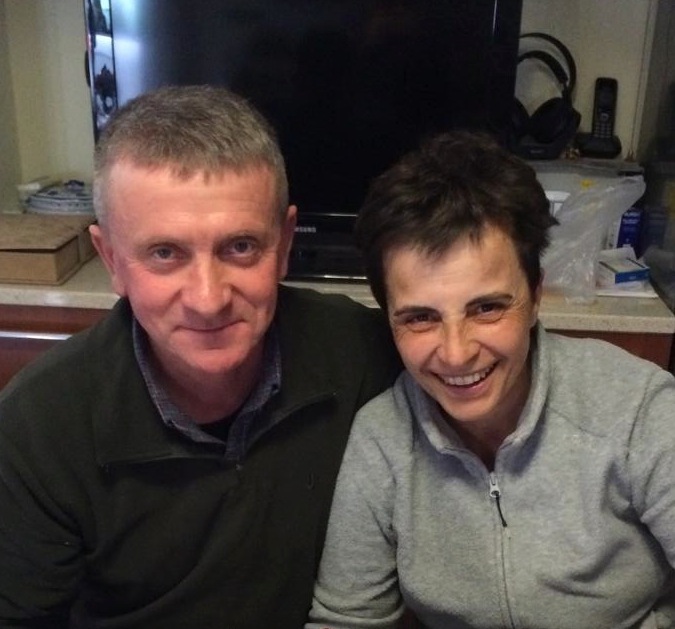 In 1992, Toni and Graziella moved their family into their new house, where they now live above the tasting room. The wood-fired oven built into the wall of the tasting room became the star of their Christmas Eve tradition that lives on today — pizza al forno legna — pizza baked at 700° Fahrenheit. It all began as a ruse to distract the children when Santa Claus arrived upstairs. While the children feasted on pizza in the tasting room, Santa Claus quietly delivered presents that they would discover later. 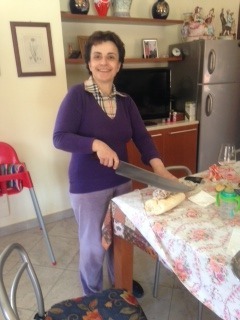 When Cristina began dating Giorgio, an experienced pizzaiolo, Toni passed the pizza-making responsibilities on to him. “Giorgio is a great pizza maker, and he has a lot of fantasy in doing them,” said Claudia, who helps Giorgio make the pizza dough. He makes 10 different types of pizzas with sausages, ricotta, stracchino, onions, and several other tasty, fresh ingredients. According to Claudia, no one has a favorite, and they delight in tasting the wide variety of pizzas Giorgio creates. 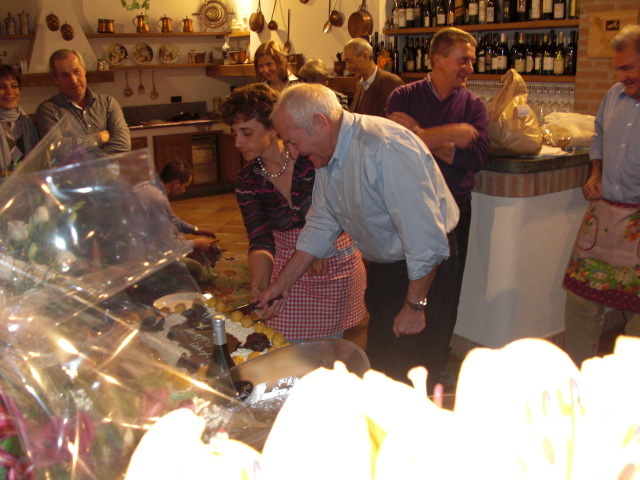 Giorgio Faccenda, with the aid of his wife Cristina Deltetto, keeps the supply of pizzas going on Christmas Eve in the Deltetto winery’s tasting room. 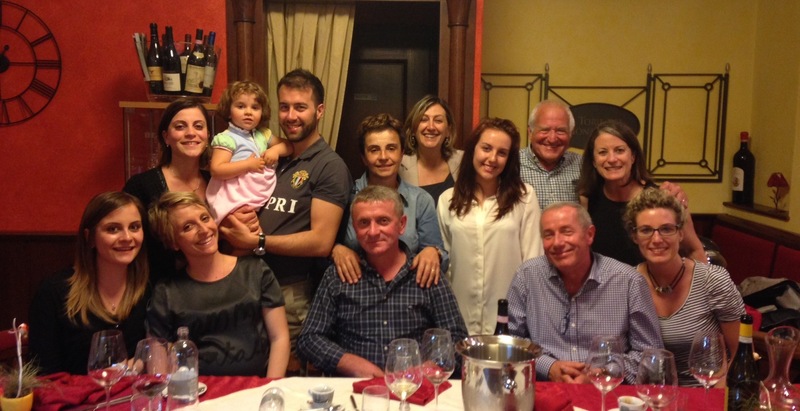 Since Carlo and Paola married, the Deltetto and Grasso families share their Christmas Day feasts, rotating between the families’ two homes in Treiso and Canale. By early Christmas morning, the fire that had been stoked to make pizzas on Christmas Eve cools to about 400° Fahrenheit, a perfect temperature for baking bread. After days of work in which everyone pitches in, it’s time for their Christmas feast. That March evening after we enjoyed Graziella and Cristina’s Friday “light” supper, Toni recited the Christmas menu as though he was savoring the dishes still nine months away. They begin with foie gras paired with bubbles — spumante from Deltetto and Champagne. Toni admitted it’s not a very Piemontese dish, but he said it is irresistible with the bubbles. The least sinful of the luscious dishes is panzanella, a salad that features fried rosemary bread cubes, quail eggs, pine nuts, and pomegranate. Antonio Deltetto proudly displaying the panzanella salad topped with quail eggs. Traditional Piemontese meat dishes include carne cruda (finely chopped raw Fassone veal), tajarin al sugo (thin golden noodles rich in egg yolks and topped with meat sauce), brasato (beef braised in Nebbiolo), tagliata di fassone (seared Fassone beef sirloin served rare), and bollito (thinly sliced beef stew similar to the French pot-au-feu). Like the meat selections, there are several pastas to choose from: tri-colore agnolotti, small ravioli signifying the colors of the Italian flag — beet colored (for red) stuffed with fish, shrimp, salmon, and roe; spinach (for green) stuffed with fonduta; and normal pasta (for white) stuffed with meat. Of course, numerous bottles representing many memorable vintages are sacrificed in the course of this feast. Dessert always includes pears cooked in port with honey, vanilla, black pepper, lemon, and lime zest. Tajarin requires approximately two dozen egg yolks for each kilogram (2.2 pounds) of flour, resulting in a large bowl of egg whites. Nothing goes to waste in a Piemontese kitchen, neither food nor energy. By late Christmas Day, the pizza oven cools to approximately 180° Fahrenheit, perfect for baking meringues made from the leftover egg whites. The combination of food and wine for celebrations like Christmas allows the wine families to enjoy the fruits of their labor and prepare their spirits for the coming vintage. 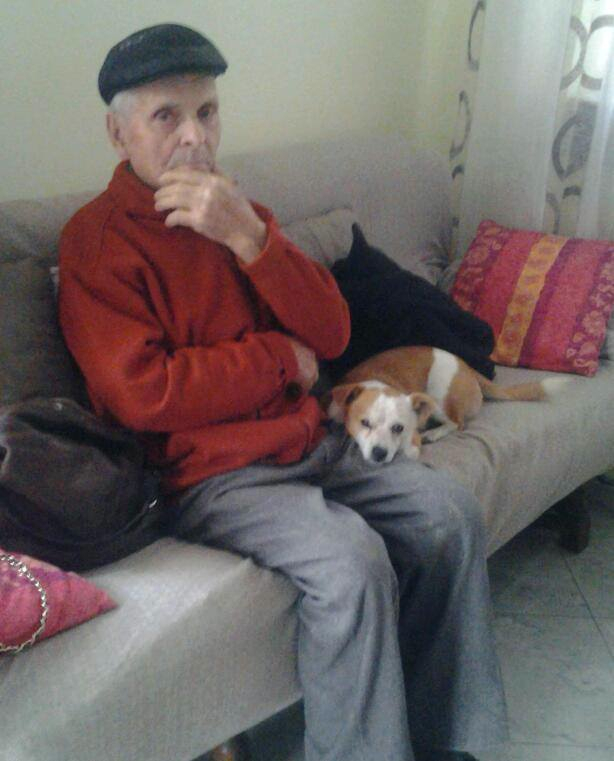 Carlo Deltetto and his beloved maternal nonna Bibiana on Christmas Day 2015. Deltetto and Grasso families celebrating together at the Deltetto home on Christmas Day 2015. On both this blog and suziknowsbest.com, I strive to include valuable content from talented bloggers and experts. Wine expert, blogger and fellow Piemonte-phile, Valerie Quintanilla of GirlsGottaDrink.com, is someone whose witty and informative narrative style is a delight to include on Winefamilies. It’s the vendemmia (harvest) in Northern Hemisphere vineyards. 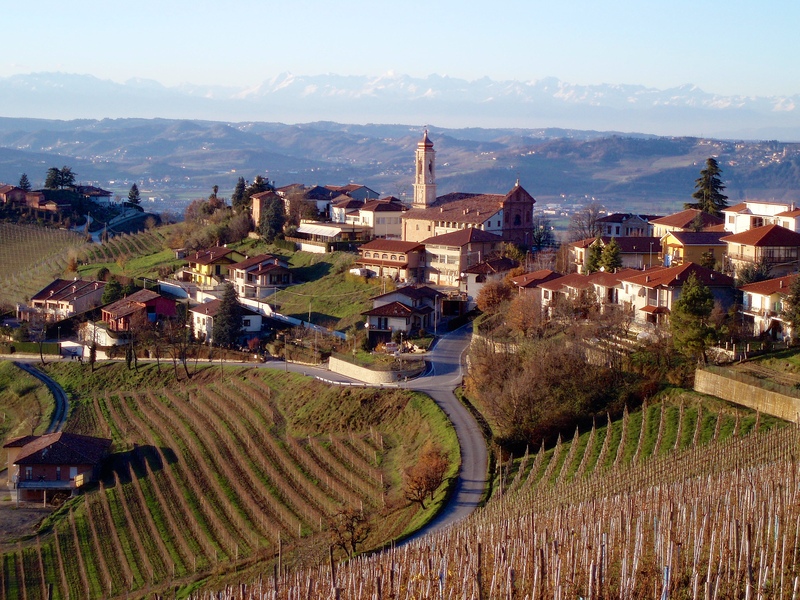 And one of my favorite Northern Hemisphere wine regions is Piemonte. 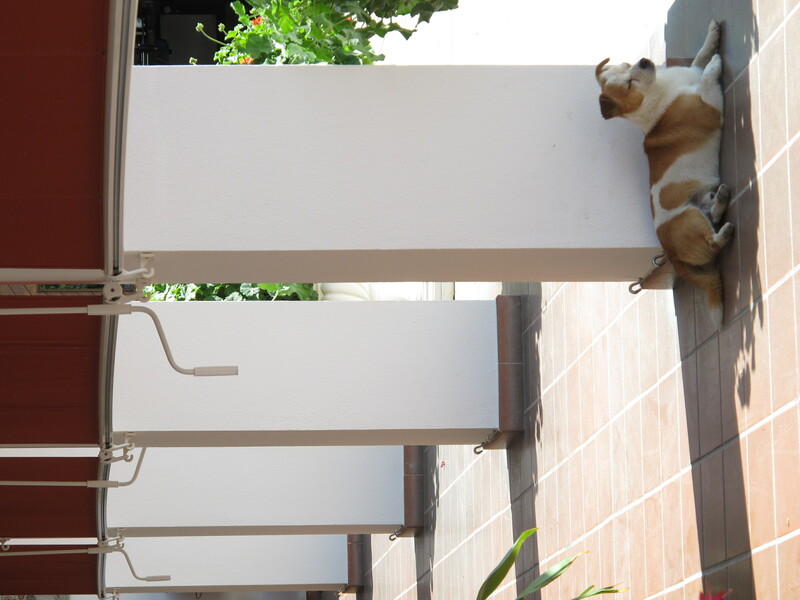 Valerie lives in Alba – I’m jealous – deep in the heart of Piemonte’s hills. So since she’s there and I’m in snowy Colorado, she penned an overview at the ongoing vineyard activity in the Langhe and Roero regions of Piemonte for my readers. With my own glass of Barbera d’Alba Superiore from G. D. Vajra in hand, I’m about to hit the “publish button.” I hope you will grab your favorite Piemontese wine (or try out some of Valerie’s wonderful suggestions below) as you take an armchair journey to the autumnal vineyards of Piemonte. I know you will enjoy it. 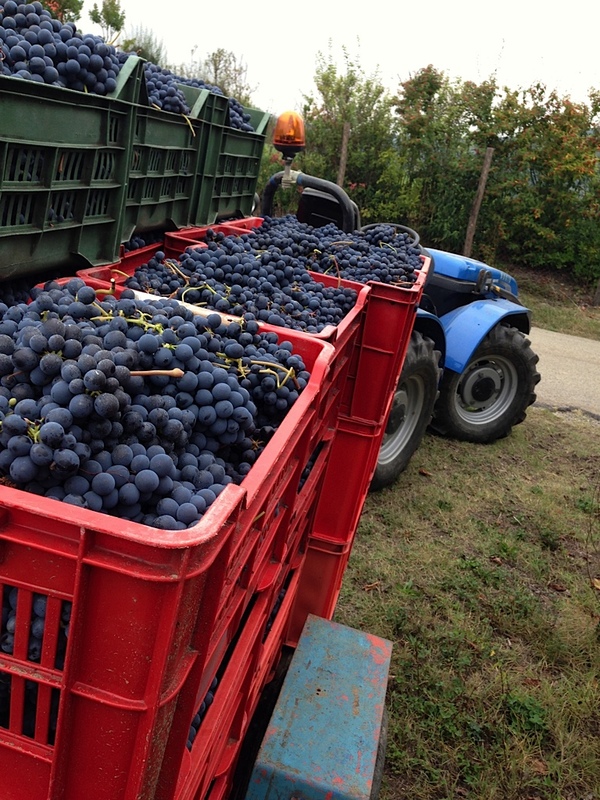 And we still have the Nebbiolo harvest to go! The 2013 Piedmont Harvest has the makings of a good year! But, let’s not get ahead of ourselves. We still have a few weeks to go and as different producers have told me, rain in the last few weeks can change everything. Mother Nature’s insistence that late winter and spring should be cold and rainy in Piemonte (and many other wine regions such as Napa and Valais) made vintners as gloomy as the weather. 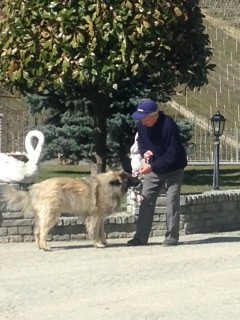 In Piemonte, bud burst was on average two weeks late and the vines struggled in the cold, wet weather. Finally, in mid-June the sun came out and the vines sprung into action producing what looks to be beautiful fruit. Better late than never! Early July grapes on the vine at Malvira in Roero. With harvest well underway, the first grapes picked were whites: Moscato, Chardonnay, and Favorita. From there, it moved to Arneis (also white), and Dolcetto, kicking off the reds. Barbera harvest has started in some areas, but not all. It depends on the location and the producer. 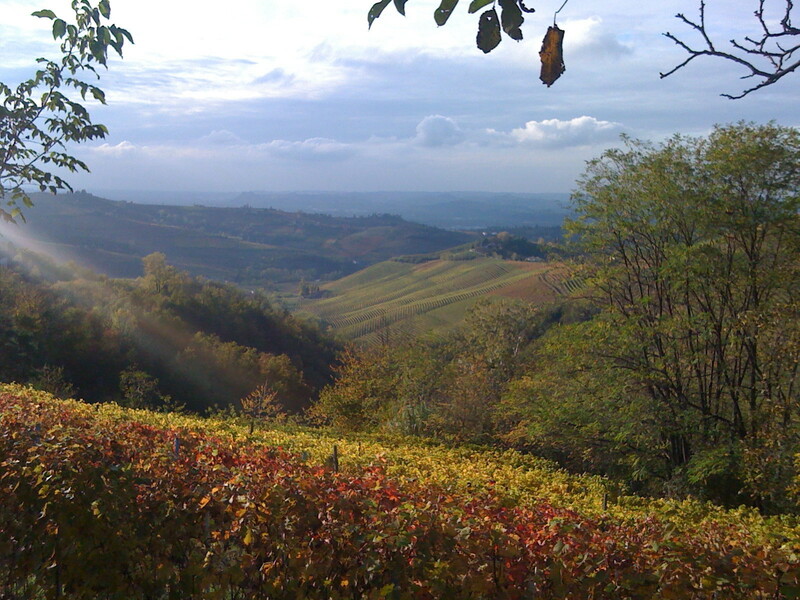 Autumn colors of the vineyards around Treiso in Barbaresco appellation. All around, the vibe is that the grapes are showing good quality, and good quantity. The lack of rain means these healthy grapes are maturing well with no mold issues and good air circulation. During a visit with winemaker Francesco Baravalle in mid-September, he praised the healthiness of the grapes thanks to wind cooperation and dry conditions. Francesco said the 2013 Piedmont Harvest will be slow, similar to 2010, which suggests a classic vintage. Though, he cautioned that rainy conditions could change things. On Saturday, September 27th, Carlo Deltetto explained that harvest normally starts the second week of September. However, the 2013 Piedmont Harvest didn’t kick off till September 20th. By the 27th, they were halfway done with Arneis and Favorita (both white grapes). Carlos’ take on the vintage is that nothing strange is happening. The grapes are good quality and quantity. The Pinot Noir (which the winery uses for its methode champanoise Spumante) looks fantastic. The Arneis is coming in very fruity thanks to the weather conditions – not too warm, which preserves freshness (tip: put 2013 Arneis San Michele on your list, based on this, it’s bound to be a beauty). The Nebbiolo also looks good. 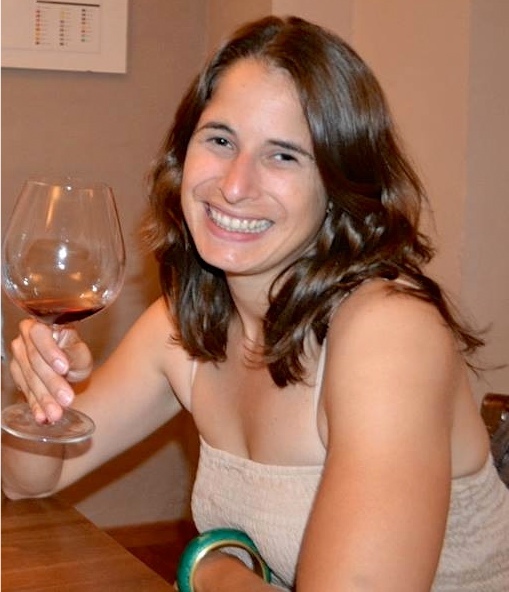 On Wednesday, October 2nd, winemaker Martina Minuto explained that green harvest helps a great deal on time in the vineyards in terms of labor and also helps with grape health and maturation. 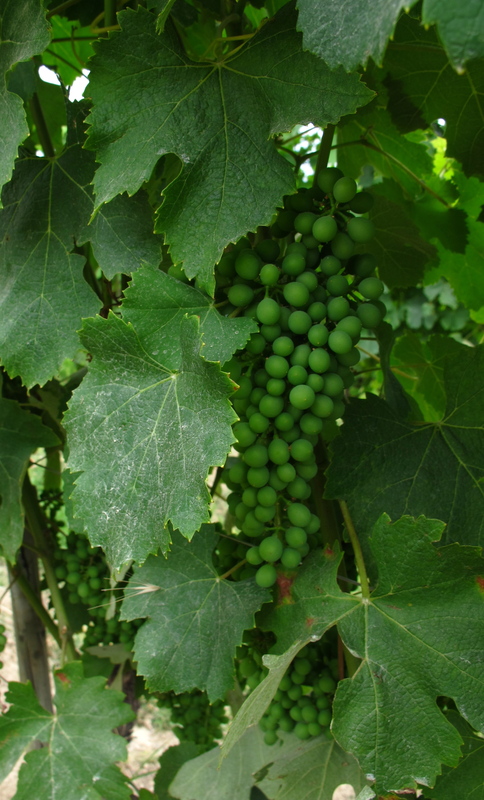 Green harvest generally takes place around veraison when the grapes begin to ripen, changing from green to purple. Producers prune the least desirable grapes, making way for better nutrients and maturation for the best bunches. 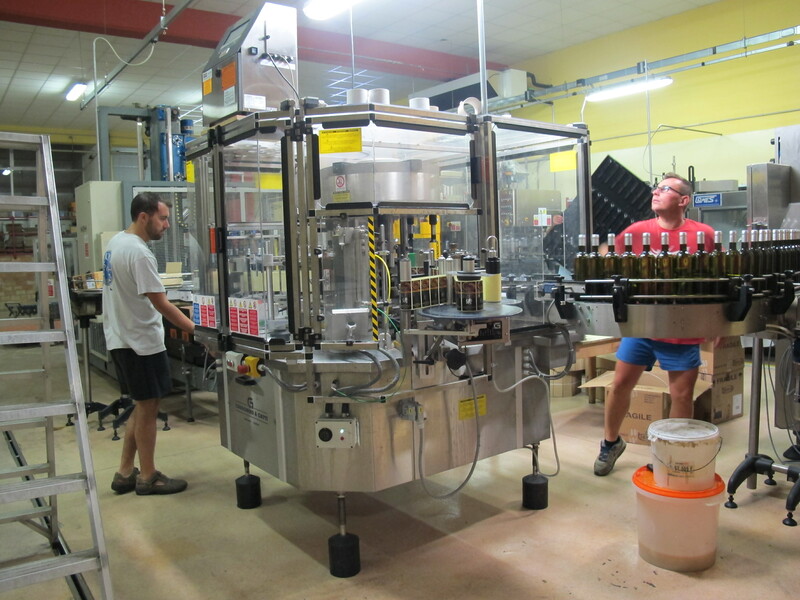 Moccagotta started the Chardonnay harvest on September 23rd and finished in two days. Dolcetto was next, taking 1.5 days. 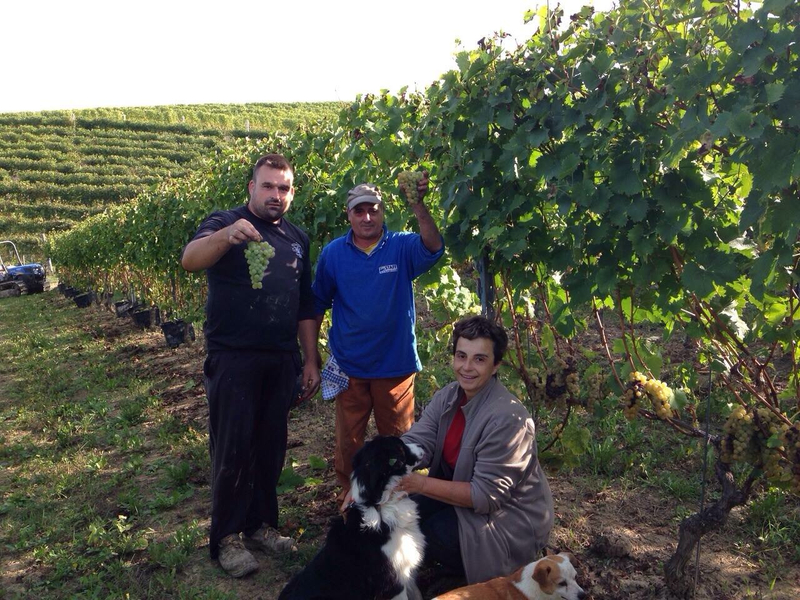 On October 2nd, they were taking Nebbiolo samples from the vineyards to check the progress of the grapes. Martina said if the weather is sunny, they would likely harvest Barbera the week of October 7th. 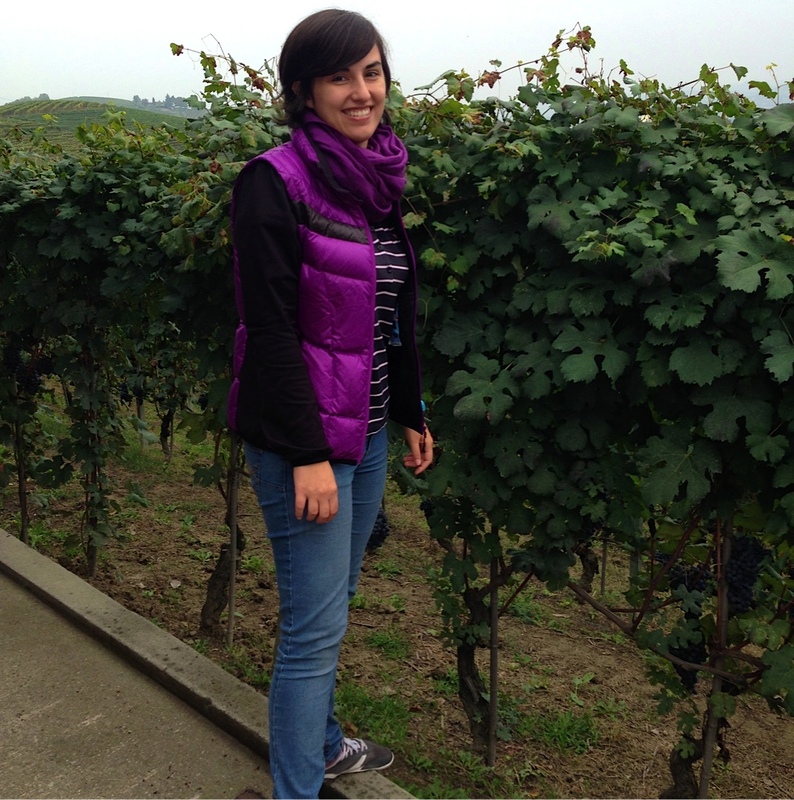 On Thursday, October 3rd, the youngest of the three Grasso sisters, Federica, told us they were expecting to harvest Riesling the following day. She updated me that the grapes look really good with good alcohol degrees, which means great wine. Takeaway: Get yourself a bottle of Ca’ del Baio’s 2013 Riesling. 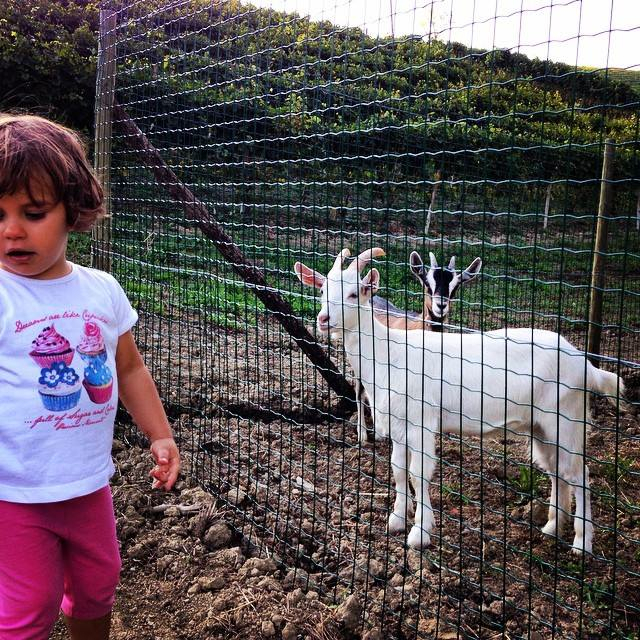 Weather permitting, the Grassos anticipate harvesting Barbera the week of October 7th. 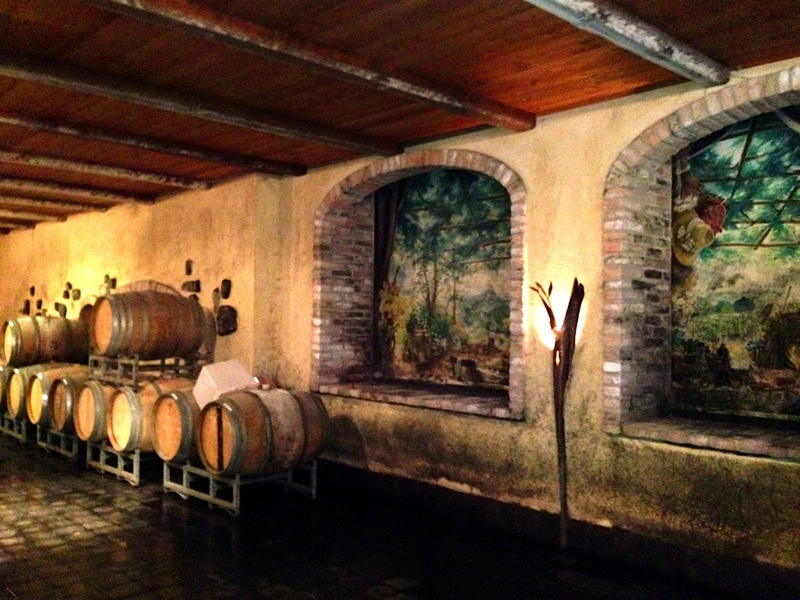 Federica echoed the sentiments of other producers: the grapes are healthy, good quality and good quantity. Overall, it’s looking like we are in for a classic 2013 Piedmont vintage. If the weather continues as it has, that means the Barbaresco and Barolos will show great structure, will be well-balanced, and will develop well in the bottle for decades. Bottom line – 2013 should be a vintage to lay down. Be on the lookout for another 2013 Piedmont Harvest Report as Nebbiolo harvest kicks off! 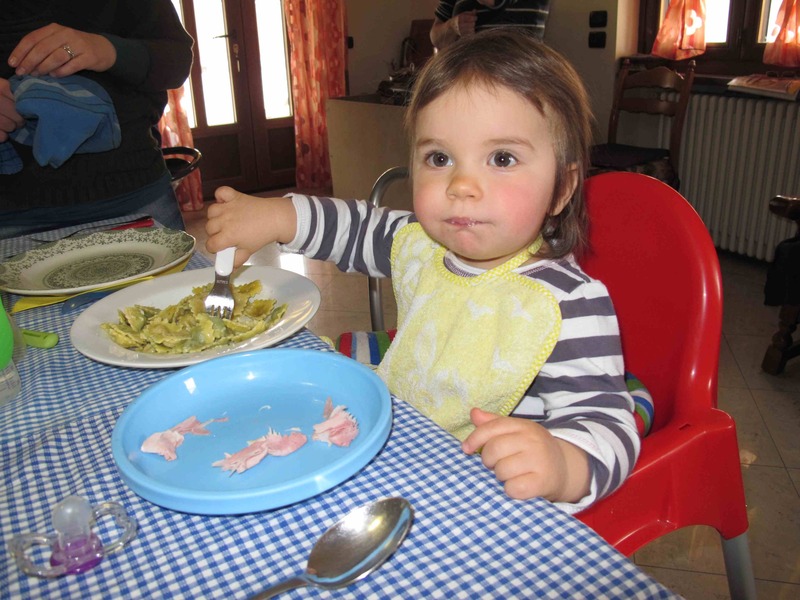 One of Italy’s newest expats, Valerie has taken up residence in the beautiful hills of Piedmont, Italy. Follow her wine, food, and travel adventures on her blog, GirlsGottaDrink.com, on Twitter @Valeriekq and on Instagram.